You are here: Home / Green Living and Eco-Friendly Tips / Nourishing Body Balm Recipe- Great For Kids and Adults! I discovered early on in our parenting days that store bought creams/balms were often filled with undesirable ingredients especially products for children! My daughter had really dry skin when she was younger and none of the things friends were suggesting were working at all in clearing up her dry skin. Some products made it even worse. That’s when I started researching how to make balm so I could make sure it was all natural. 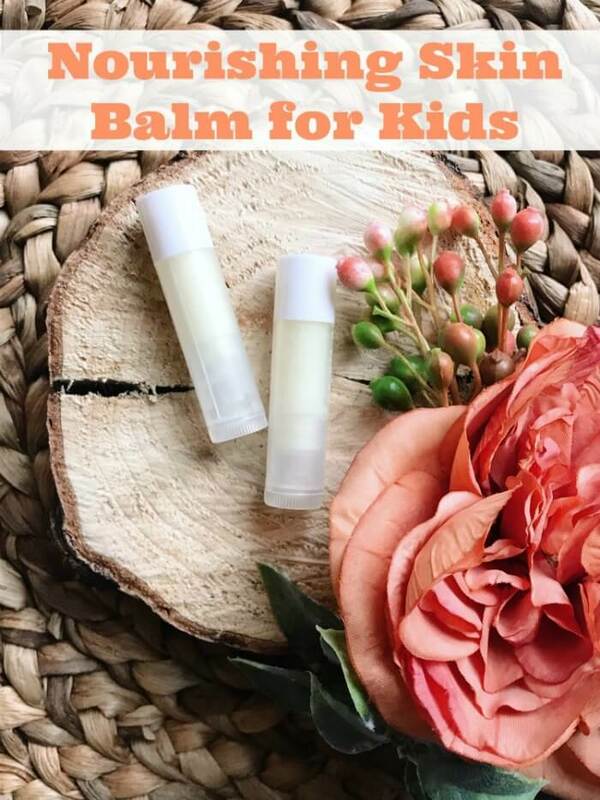 I tinkered around with this body balm recipe until I got it like I wanted it so I wanted to share my balm skincare recipe with you in case you are in the same boat and are looking for a natural nourishing balm for your little one. My kids are a couple years older now but we still use this on dry spots. These ingredients are all so great for the skin. 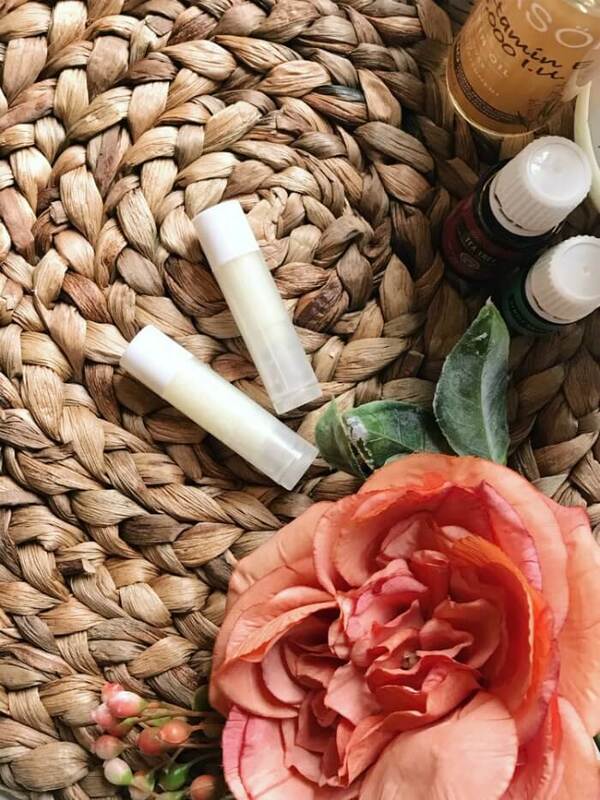 To make for easy application, I use lip balm containers!! That way you can just swipe on the nourishing shea butter balm. Anything to make our parenting days a little easier, right?! What is a balm? It is a fragrant ointment used to heal or soothe the skin. This is such a simple body balm recipe and takes no time at all! First gather up your supplies/ingredients. You will be working in your kitchen so clear a space on the counter. Lay down a piece or wax paper or parchment paper (this will just protect your counter from any spilled liquid body balm). Lay out your lip balm tubes. 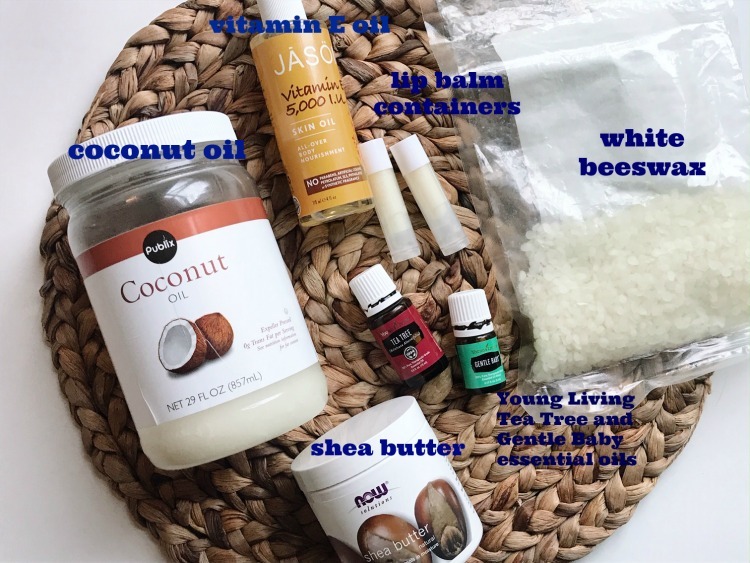 This body balm recipe makes 10-12! So it is enough to hand out to friends/family but you can go through a tub pretty quickly if you are using it often. Ok, time to make the body balm recipe. Put your pan on the stove and turn the stove cap on to medium heat. Pour in 1-2 cups of water into your pan. Set your pyrex or metal measuring cup in the water (this acts like a double boiler). Now, you add all your ingredients except your essential oils. Add 1 ounce of coconut oil, 1 ounce of shea butter, 5 drops of vitamin E oil and about 1.5 ounces or 3 TBPS of your beeswax pellets. Now let everything melt together. Continue to stir often to help everything mix together quickly. This will take about 6-8 minutes to melt completely together. Once everything is melted, carefully remove the measuring cup filled with the melted mixture. This will be EXTREMELY HOT so be very careful. You will need to use an oven mitt to handle the measuring cup. Set on safe surface/cooling rack. Then add your essential oils– 15 drops of both the Tea Tree and the Gentle Baby. Give a quick stir and carefully pour the shea butter body balm into each of your empty lip balm tubes. Let completely cool (about 30 minutes) and then place the cap on. Now you have made the Nourishing Body Balm Recipe and it is ready to use on yourself or your kids. The great thing about homemade balm skincare is you know exactly what is in it. Swipe body balm on rough patches on the face, arms and even legs! Does this sound like something you would use? Do you enjoy DIY essential oil recipes? Do you think you will try out this recipe for how to make balm to naturally nourish your skin? I so need this for my scaly winter feet and elbows. It would be great to slather my dry heels with this and then sleep in some cotton socks to soften them up. I’m new to making skin care products but this doesn’t look too intimidating!